Yes, this is a shameless plug for DevLearn08. But heck, even though I'm not the most unbiased, we have put together a killer event! Blog peeps are coming into San Jose, CA from all over the world. Sure, I'm into web2.0, learning2.0, and everything else 2.0, but you just can't beat seeing someone in person and shaking a hand or giving a hug. We are about six weeks out from the event but the fun begins NOW! 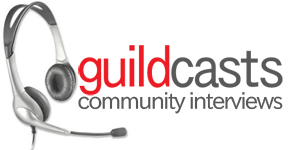 Check out the Guildcasts. Is there someone on the program that you want interviewed? Just let me know and I'll see what I can do. There is SO much more...stay tuned! Yup - and they are letting me out of the dungeon to play!!! YAY!